Greetings in the name of our Lord and Savior! I have received your email. May the Lord continue to bless you. Dr. Curtis L. West, Jr. was born and reared in the small town of Homer, Louisiana. He is the fourth of six children of the late Rev. Curtis L. West, Sr. and Dorothy Anne West. 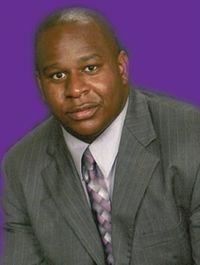 Dr. West is a 1990 graduate of Homer High School in Homer, Louisiana. He is married to Reverend Amarylis Didley from Augusta, GA and they are hte proud parents of Cymone, Lauryn and Curtis, III (C3). He graduated in 1995 from Grambling State University in Grambling, Louisiana with a B.A. degree in Psychology. In 1998, he received a Master of Divinity Degree from the Interdenominational Theological Center (Phillips School of Theology) in Atlanta, Georgia with a concentration in Christian Education. There, he was presented with the R.B. Shorts Pastoral Award and the B. Julian Smith Social Justice Award. Dr. West earned his Doctor of Ministry degree from Perkins School of Theology, in Dallas Texas in May of 2016. His emphasis was on creating an Intergenerational Ministry Model in the local church. Dr. West has proudly served as pastor of St. Rest, Spring Hill (North), and Carter Chapel C.M.E. Churches of the Louisiana Annual Conference. In 1996, he was appointed to pastor the Israel C.M.E. Church in Cornelia, Georgia for two years and afterwards, he served Usher's Temple C.M.E. Church in Fort Valley, Georgia from 1998-2004. He served Bethel C.M.E. Church in Macon, GA from 2004-2010. He also served faithfully as a hospice chaplain from 2003-2010 for Vista Care and United Hospices of Macon, GA. In July, 2010, Dr. West returned to the Louisiana Region to serve as Presiding Elder of the Shreveport District and the pastor of Lane Chapel in Shreveport, LA. In July 2012, Bishop Thomas L. Brown, Sr. appointed Pastor West to the historic Lynch Street C.M.E. Church in Jackson, MS. In 2016, Dr. West was appointed as the Presiding Elder of the Greenwood-Jackson District. Recently, Dr. West was invited by former Vice President Al Gore to Union Theological Seminary in New York to study “Ministry in the Time of Climate Change”. He also was accepted into the Mississippi Black Leadership Institute. In 2016, he was honored to receive the Pastor of the Year Award by the Mississippi Gospel Music Awards. Dr. West received a special recognition from the Louisiana House of Representatives in 2014 and the NAACP Presidential Award in 2011 in Homer, LA. Dr. West is an Ordained Elder in Full Connection in the Christian Methodist Episcopal Church. He serves as the Associate Dean of Mississippi Leadership Training School. He is involved with many organizations including the SCLC, , NAACP, Optimist International Club, Alpha Phi Alpha Fraternity, Inc. and Rainbow PUSH Coalition where he serves as the State of Mississippi representative.